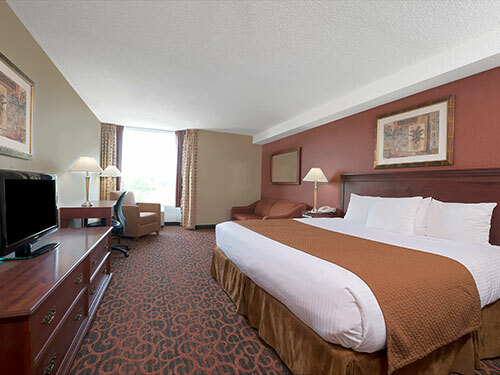 Spacious and comfortable contemporary style guest room with two queen beds offering a panoramic view of the city of Niagara Falls. 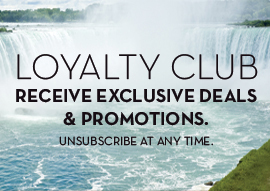 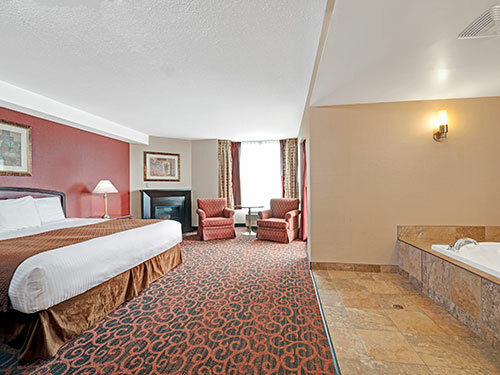 This spacious guest room features a panoramic view of the city of Niagara Falls, one king size bed, a large oversized two person whirlpool and an elegantly appointed sitting area are added features for your comfort. 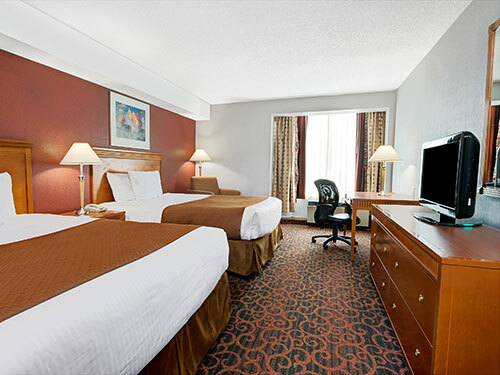 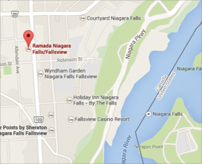 Spacious and comfortable contemporary style guest room with one king bed offering a panoramic view of the city of Niagara Falls. 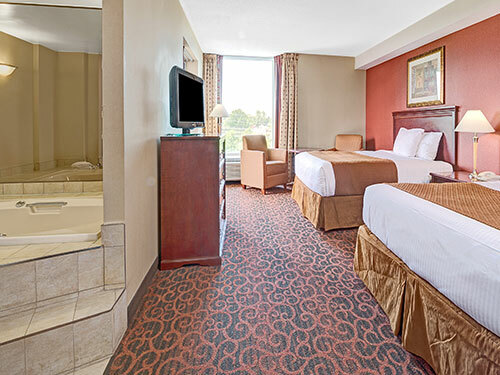 This cozy and spaciou s guest room offers two queen beds, an over-sized whirlpool and private balcony for your viewing pleasure. 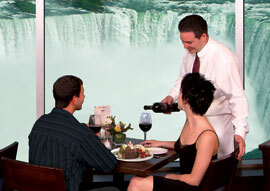 This elegantly appointed room offers a view of the city of Niagara Falls. 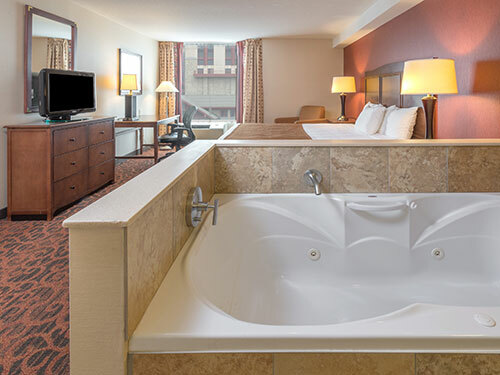 This luxurious suite offers one king size bed, an oversized 2 person whirlpool, private balcony and fireplace.